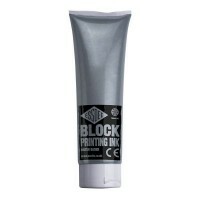 We stock a selection of Printmaking Inks that will have you well on your way to creating your first prints! 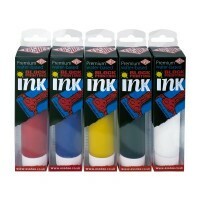 Inks can be used straight from the tube or can be mixed to create your own hues to fit your creative vision. Block Printing Inks have a slightly ‘tacky’ consistency; this tackiness allows the colour to adhere to your printing sheet or block and to the paper or card that you are printing onto. It is always advisable to roll out layers of colour in thin applications, rather than applying it in one thick layer. Thick applications can be uneven and will affect the appearance of your final prints.